Tomatin, or “Hill of the Juniper Bush”, is a small village near Inverness. It is believed that cattle drovers passing through the area used to stop off at “The Old Laird’s House” to fill their ram’s horn with some illicit whisky. 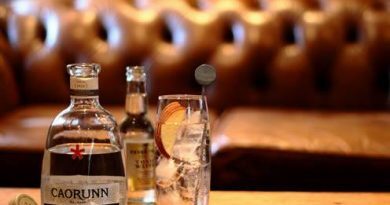 The name Tomatin actually hints at this, as juniper wood has long been used by illicit distillers because it gives off no smoke when you burn it. Crafty. Though active since the 16th century, the distilling of whisky in the Highlands remained illegal until 1823 – when an act was passed which made commercial whisky production possible. Illicit stills were eradicated and the so-called “Victorian Whisky Boom” took place. By the late 19th century, cattle drovers and shepherds made up the population of Tomatin. As whisky production had moved from the Highlands to the lowlands, it wasn’t a place where you were likely to find a dram. That changed in 1897. A project spearheaded by John MacLeish, John MacDougall and Alexander Allan led to the creation of The Tomatin Spey District Distillery Ltd. A new railway line had recently been opened so it was an adequate location despite its remoteness; plus the nearby Alt-na-Frith burn was a perfect water source. There was no local workforce though. In response, the distillery was built with houses alongside it – these would accommodate workers from afar. It was a prosperous time for whisky distilleries in Scotland and Tomatin certainly shared in that joy. It even survived the market’s eventual crash – which is too complicated to go into here – before folding on its own terms in 1906. 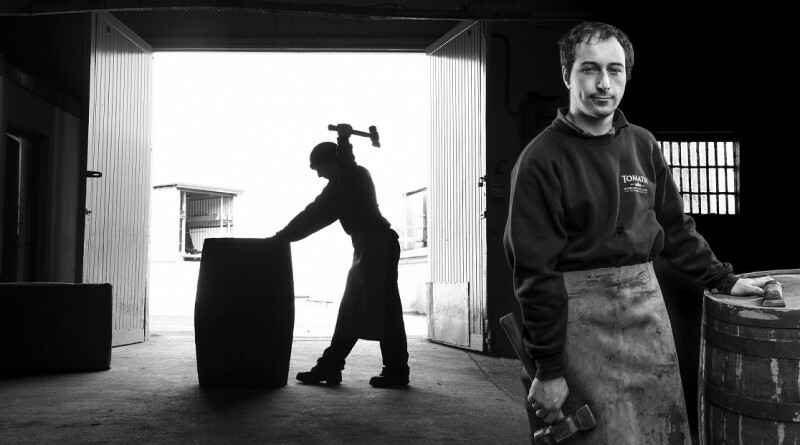 Three years later, production resumed under the name of The Tomatin Distillery Co. Ltd. This was actually a very quiet period in the distillery’s history. It only had two stills in operation and things stayed that way for almost half a century. In the 1950s, the company started to think big. A further two stills were installed in 1956, followed by two more in 1958 and an additional four in 1961. By 1974, the number had risen to a total of 23 stills. It became Scotland’s largest distillery with an annual production rate of 12 million litres of alcohol. Now that it’s good reputation was in place, Tomatin started to sell its whisky to other companies and it was used in such famous blends as Johnnie Walker. Unfortunately, this time of success had a shelf life. The sheer weight of it crumbled beneath them and in 1984 the liquidation of The Tomatin Distillery Co. Ltd took place, once again leaving the distillery’s future in disarray. We have two Japanese companies to thank for saving it. Takara Shuzo Co. Ltd, once Japan’s most successful drinks producer, teamed up with the trading company Okura to buy the distillery. 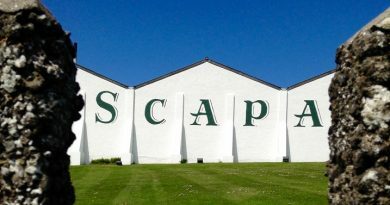 Thus it opened again in 1986, becoming only the first of many Scottish distilleries to be run by an Asian company. The focus turned from scale to quality, yet in doing so the distillery entered its most successful period yet – and it’s still on-going. The days of 12 million litres of alcohol a year may have passed, but when we last checked it was producing 5 million litres and doing fine. 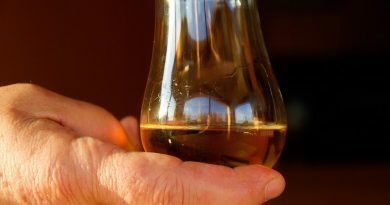 Their range of single malts has found its way into over 50 export markets. The staff still work from home too, with 30 houses now on site. This sense of community may be one of the reasons why the distillery is doing so well. We weren’t just being dramatic when we called this piece “A Story of Survival”. Many distilleries have come and gone over the years, but The Tomatin Distillery prevails no matter how close it comes to ruin. Is it as simple as this: their whisky is that good and people (with lots of money) like to see it survive? Is it luck? Or is it that the distillery – and the word Tomatin itself – are considered to be important parts of Scottish heritage? It could be all or none of the above. It could simply be survival.